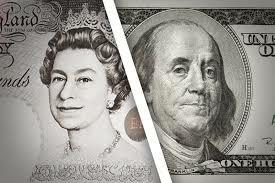 Currency investors should consider selling GBP/USD this week, advises CitiFX in its weekly FX pick to clients. Sell at 1.2548, target 1.2310, stop loss 1.2685," Citi advises. *Citi weekly trades provide short term guidance on where they see 1-2 week opportunities in G10 FX markets. Unless Citi explicitly extends them, they will be closed out automatically at COB the second Friday after they are introduced.